Welcome to Lake Zurich Travel! 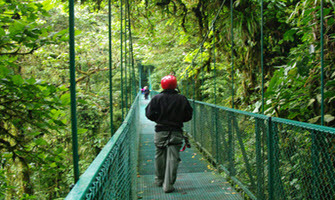 Lake Zurich Travel is a travel design and consulting firm, assisting travelers for over 40 years. We are members of the Signature Travel Network, an industry co-operative with three billion dollars in purchasing power giving us exclusive benefits for our clients. With partners around the world we have the resources to help you design your next travel experience. Our professional consultants have the knowledge and know how to make sure that all of your wishes are met and all of your travel dreams become reality. Wherever you want to go, whatever you want to do, our travel consultants will create travel experiences that are yours alone, shaped by your needs, tastes, and dreams. Give us the opportunity to be a part of your travel planning team. Remember, without a professional travel agent, you're on your own. The bottom line is getting Expert Travel Advice to find the Right Vacation for you! Planning a wedding, the most treasured moment as you begin your lives together! We will spare no effort in making this your most memorable day in paradise. Enjoy valuable privileges at hundreds of the finest hotels and resorts worldwide. Navigating the thousands of vacation choices can be daunting, but we're here to help you every step of the way. Land of la dolce vita, Italy is one of the world's best-loved destinations, and no wonder—two-thirds of the world's historical artistic heritage is there. Australia is recognized for its natural beauty, great beaches, friendly people and unique wildlife. Wherever you go in Australia, you'll find a passion for getting the most out of life. The Islands of Tahiti offer something special for every traveler - from powdery white sand beaches, turquoise lagoons, vibrant marine life, rugged verdant mountains, and a colorful history. There is something for everyone, each island offering its own unique charm and adventures. Experience the Caribbean island-by-island or enjoy one of many Caribbean curises.